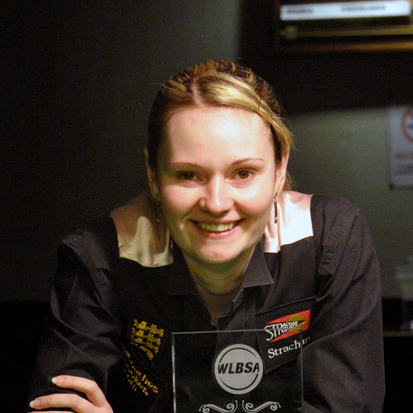 REANNE Evans kicked off the 2013/14 women’s snooker season with victory in the British Open. The nine-time world champion from Dudley, West Midlands, accounted for teenager Hannah Jones 4-1 in the final at Whitley Bay Snooker Centre, Tyne and Wear. Derby ace Jones, 17, appearing in her first ranking final, took the first frame but was unable to deny 27-year-old Evans her 33rd World Ladies Billiards & Snooker Association ranking title. World number one Maria Catalano had pulled out of the event because of illness. Earlier, Jones defeated her ten-year-old sister Ellie 2-0 in the Under-21 final. Vicky Carter, knocked out 3-1 in the quarter-finals of the main event by Hannah Jones, triumphed in the Plate competition – defeating Maureen Rowland 2-0 in the final. Local girl Rowland, from Wallsend, came close in her second final of the day. She took the first frame of the Seniors (40+) final on the pink but missed the black for the match in the next. But perhaps the snooker gods were looking down on her opponent, Jenny Poulter, who ran out a 2-1 victor. Poulter’s mum Jean had been taken ill when the pair arrived on Friday night from their home in Maidstone but insisted from her hospital bed that her daughter competed in the British Open. The WLBSA wishes Jean a speedy recovery. 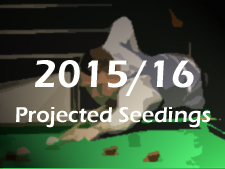 The British Open was the first of eight ranking events on the WLBSA’s £8,400 2013/14 tour. QUARTER-FINALS: Reanne Evans (48, 38, 62, 47) beat Maureen Rowland 3-0, Jenny Poulter beat Ellie Jones 3-0, Pam Wood beat Laura Alves 3-0, Hannah Jones beat Vicky Carter 3-1. SEMI-FINALS (£40): Evans beat Poulter 3-0, Jones (42) beat Wood 3-0. FINAL (£200/£90): Evans (45, 52, 31) beat Jones 4-1. SEMI-FINALS: Maureen Rowland beat Laura Alves 2-1, Vicky Carter (40) beat Ellie Jones 2-0. FINAL (£15/£10): Carter beat Rowland 2-0. SEMI-FINALS: Maureen Rowland beat Laura Alves 2-0, Jenny Poulter beat Pam Wood 2-0. FINAL: Poulter beat Rowland 2-1. FINAL: Hannah Jones (36) beat Ellie Jones 2-0. 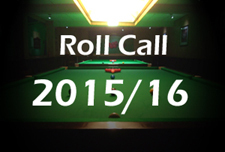 Cambridge Snooker Centre (£500 anonymous sponsorship).